eLearning: This is the most readily accessible type of training. It’s a cost-effective and flexible training option – at £295 & VAT per person it’s accessible after purchase on our learner dashboard which is cloud-based. You login and get working through it. You don’t have to do it all in one go and can come back to it as often as you need to, so its easy to fit it in with your busy schedule. The course is filled with exercises and games. When you’re finished, you take a multiple choice test and download your certificate. There’s a PDF lesson guide included on your dashboard too, that you can save or print out – whatever suits you. eBook lesson guide & test: If you like to read, then this is the most cost effective form of training. Purchase the lesson guide, read, and then do the online test to get your certificate. At just £100 for both the eBook and the test it’s a bargain! In-house Course: If you want to arrange for a teacher to deliver the training course at your site, we can arrange this for you. 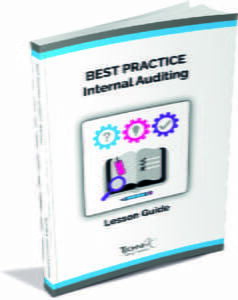 This is a much more affordable option if you want to train a team of people, such as your internal audit team. This is classroom-based training for 2-days, at a date to suit you, is priced at £2995 & VAT plus *trainer expenses. The advantage of this option is for sites who need to train more employees, as this course can accommodate up to 12 delegates of your choice. Our teacher will bring all of the course materials, exercises and lesson guides, you just need to provide the space. Paperback lesson guide & test: Or if you prefer to have a paperback copy of the lesson guide, plus a test – we can do that too. Just buy the paperback and bolt on the test for £120 including vat. 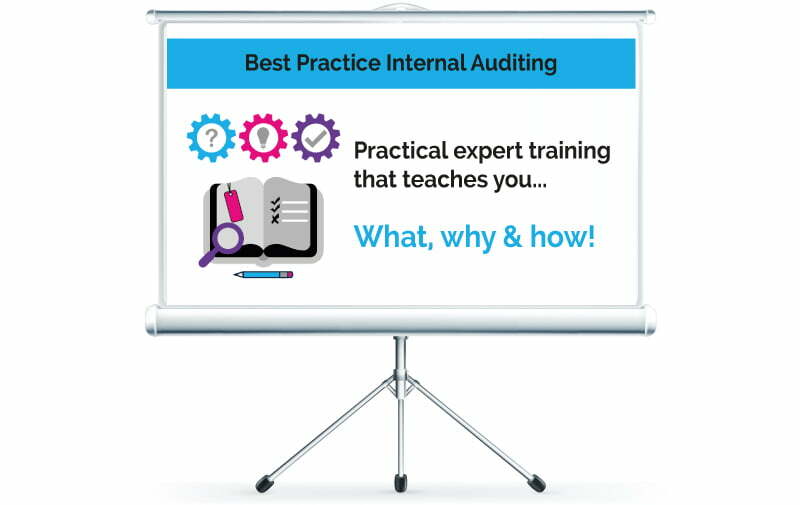 Our best practice course teaches you not only how to audit; but also the subject you’re auditing, which other courses don’t teach you. Our course teaches you the required knowledge that will enable you to challenge your system when you’re auditing, and it will also teach you the skills and tools that will create the very best standard of auditing which is superior to any alternative methods. You will learn how to carry out root cause analysis using various methods. We have also developed our own new Smart Analysis system that helps you step-by-step, determine root cause. Our new system is logical, but it can also flex depending on the complexity of your non-conformance. You will also have the subject knowledge to audit your internal audit system, corrective and preventive actions system, senior management commitment, document control, training records and GMP. What will I be qualified to do after the course? 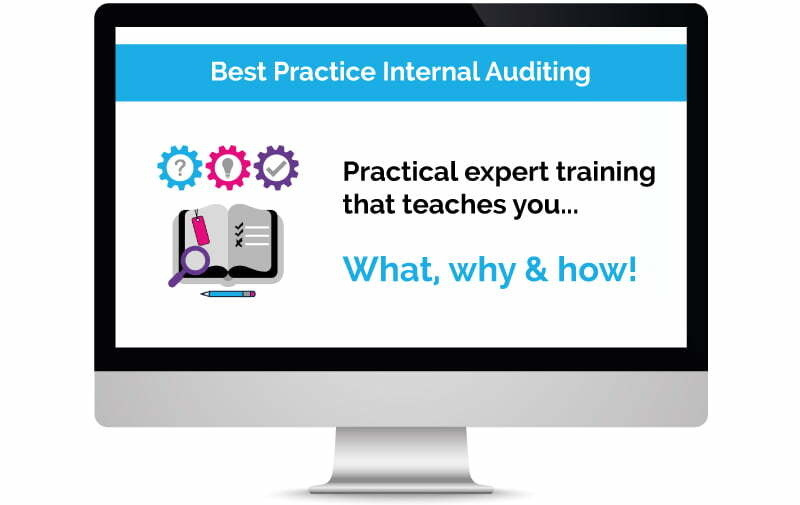 Since our course will be teaching you the subject knowledge for your internal audit system, corrective and preventive actions system, senior management commitment, document control, training records and GMP – you will be ‘qualified’ to audit these sections after you have completed the course. If there are other areas you want to audit, don’t worry, you’ll be qualified to audit these too, but not to ‘best practice’ standard. We would recommend you take further training for this. 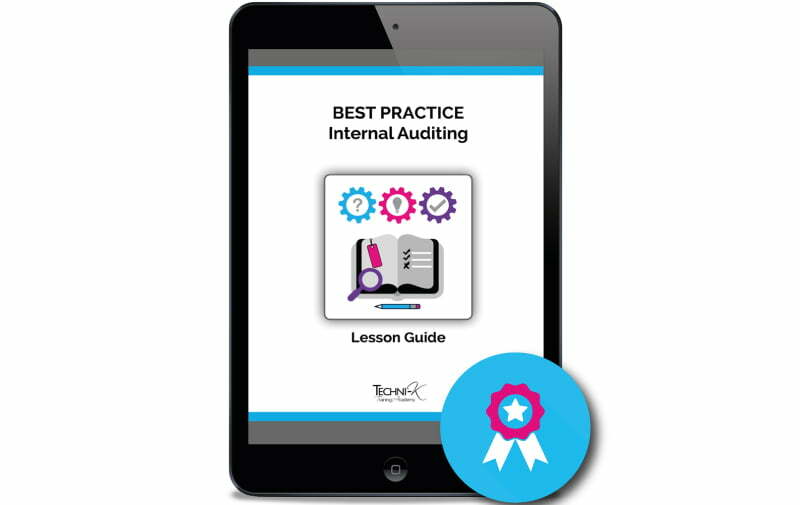 The good news is that we will be providing further courses for internal auditing that you can bolt onto this one – then you’ll be ‘qualified’ to audit those subjects to ‘best practice’ standard too! As well as completing games and exercises throughout the course to test your knowledge and skills, we will also issue a multiple-choice test at the end of the course. The test will require a 70% pass rate to gain a certificate. 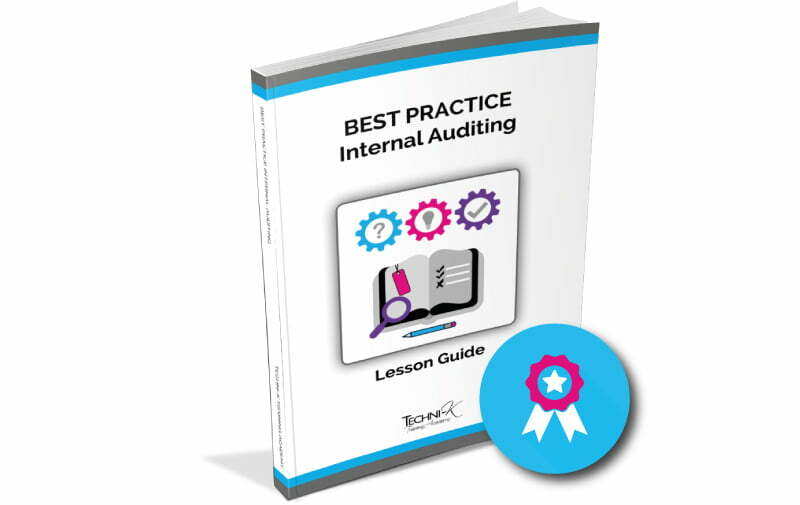 Our best practice internal auditing course is designed for anyone who has been tasked with completing or managing internal auditing on site. It will provide training to help deliver and develop the skills needed to carry out auditing effectively to the highest standard possible. At the end of the course, there will be two multiple choice tests of 25 questions each. A 70% pass rate will be required to receive a certificate.